Al Capone spent time in Alcatraz prison. The Saint Valentine's Day Massacre took place on February 14, 1929. This true crime story involves the murder of seven men. Six of the victims were members of George "Bugs" Moran's gang. The other man was Reinhardt Schwimmer, an optometrist who enjoyed spending time with gangsters, but who wasn't officially part of the gang. The person responsible for the killings was none other than Al Capone, the leader of a Chicago, Illinois, crime syndicate in the 1920s. Capone was enormously successful his organized crime ventures. His income from illegal activities, including prostitution and gambling, was estimated at $105 million in 1927. George "Bugs" Moran was also involved in illegal activities, and he and Capone had a well-known rivalry going in Chicago at this time. Bloodshed was certainly a part of this ongoing feud, but the events of February 14, 1929, were surprising to even the most experienced police officers. On the morning of February 14, 1929, Moran and his gang were to go to a warehouse to pick up a shipment of whiskey. Moran's gang members arrived on time, but Moran himself was running a bit late. This fact saved Moran's life. When Moran's car got close to the warehouse, he and his accomplices spotted a police wagon pulling up to the building. They assumed it was a police action and waited outside as five men entered the warehouse. Three of them were dressed in police uniforms. Inside the warehouse, the men were told to line up facing the wall. They complied, probably thinking it was a routine raid. Instead of being arrested, all seven men were shot with Thompson submachine guns (Tommy guns). Six of the victims died at the scene, but one man, Frank Gusenberg, lived long enough to be transported to the hospital before he died from his 22 gunshot wounds. After the shooting, the two men who arrived in plain clothes were taken out of the building by the "police officers" with their hands up. A woman who lived nearby reported seeing this event and assumed that the police had conducted a raid and placed two gangsters in custody. They left in the police wagon. This was a very clever tactic, since any potential witnesses would not be likely to contact police right away. They thought the police had already been to the warehouse and that the situation had been resolved with the "arrest" of the two gangsters. The identity of the two men who pulled the trigger that morning was never discovered. Al Capone was never arrested for his part in the Saint Valentine's Day Massacre. He allegedly did mention to one of his associates that he wanted to get rid of Moran and was told that a lot of people would have to lose their lives to make that happen. Capone simply replied, "I'll send flowers." Capone was brought to trial in 1931 for tax evasion on his illegal income. He was sentenced to prison and spent seven years behind bars. Along with the jail term, Capone was ordered to pay $80,000 in court costs and fines. Al Capone served the first part of his sentence at a prison in the Atlanta Federal Penitentiary. He was able to get several privileges while in Atlanta, Georgia. Capone had access to a considerable sum of cash in his prison cell and regularly give guards who granted him special privileges a tip. 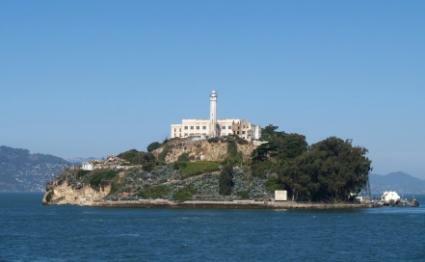 Capone was transferred to Alcatraz prison in 1934. His experience there was much different from at Atlanta. The warden maintained that Capone would not be granted any special privileges and he stuck to that decision. Al Capone was released from prison in 1939. He returned to his home in Palm Beach, Florida, where he lived until his death on January 25, 1947. The cause of death was complications from syphilis.